Let Priority Door Systems help open your doors. ONLY use AAADM certified technicians. The American Association of Automatic Door Manufacturers has developed a certification and training program for inspectors and technicians. AAADM Certified Inspectors are trained and qualified to conduct annual inspections in accordance with current industry standards. Automatic door systems should be checked annually by an inspector who has been certified by the American Association of Automatic Door Manufacturers. Through that annual inspection, the door system can be checked for compliance with the latest industry standards (and the ANSI A156.10 Standard for Power-Operated Doors should be followed). To maintain the integrity and uphold the safety, Automatic Doors require experts trained on safety devices, electrical and operational aspects of the door to install, service and inspect. 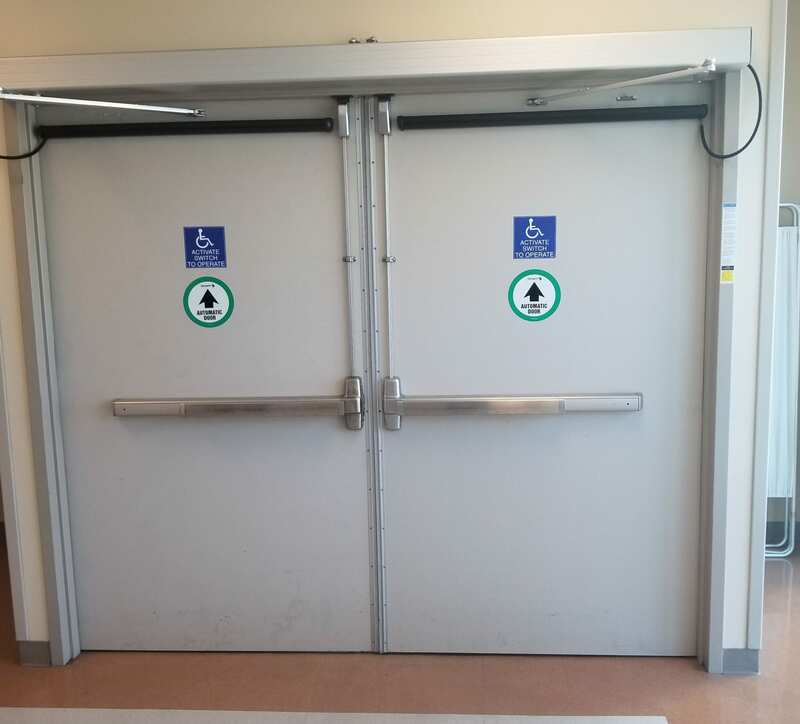 When properly installed, inspected annually by AAADM certified inspectors and safety-checked daily by premise owners, automatic doors consistently provide safe, convenient access for everyone. 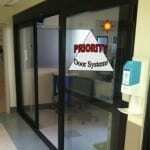 Priority Doors prides itself as having technicians properly trained and certified to help you with your Automatic Doors. You should perform daily safety checks on each automatic door. For customer safety and your own protection, you may wish to perform these checks while traffic is light. It does not matter when you conduct your daily safety checks, but it is a good idea to get in the habit of doing them at the same time every day. It is advisable to check your door each morning when the power is turned on to the door system or after any loss of electrical power. In general, start by checking the electronic sensor by walking toward the door opening at a moderate speed at various angles. The door should start opening as you approach, should swing or slide open smoothly and stop without impact. As you move slowly toward the door, it should remain open. For doors that are used for two-way traffic, you should repeat this process from the other side of the opening. 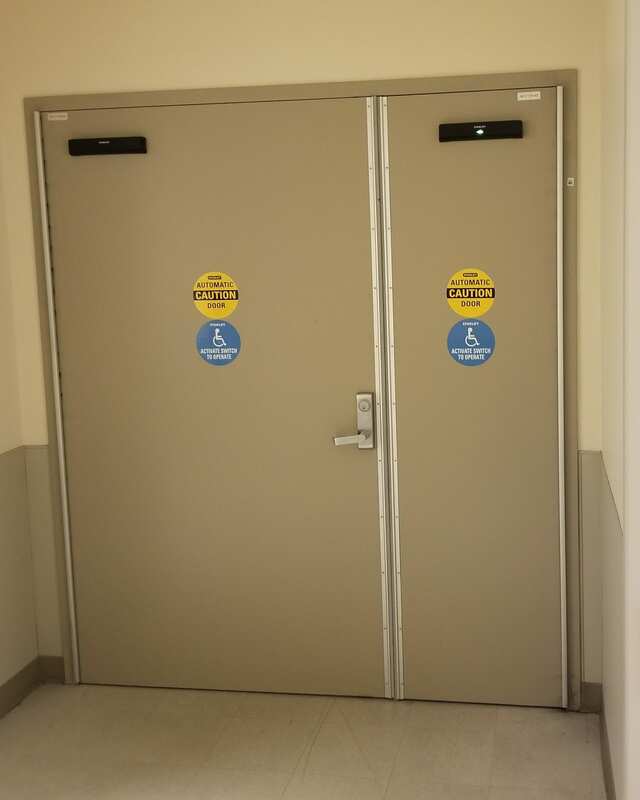 Further, if your doors are equipped with electronic holding beams, you should cover each doorway holding the beam with your hand and stand motionless for several seconds. The door should remain open. Remove your hand and the door should close after the time delay expires. If other safety devices are being used, crouch motionless in the door opening for ten seconds. The door should not close. If the safety sensor is not working, the door may swing toward you without stopping. * Exercise caution while conducting your daily checks.